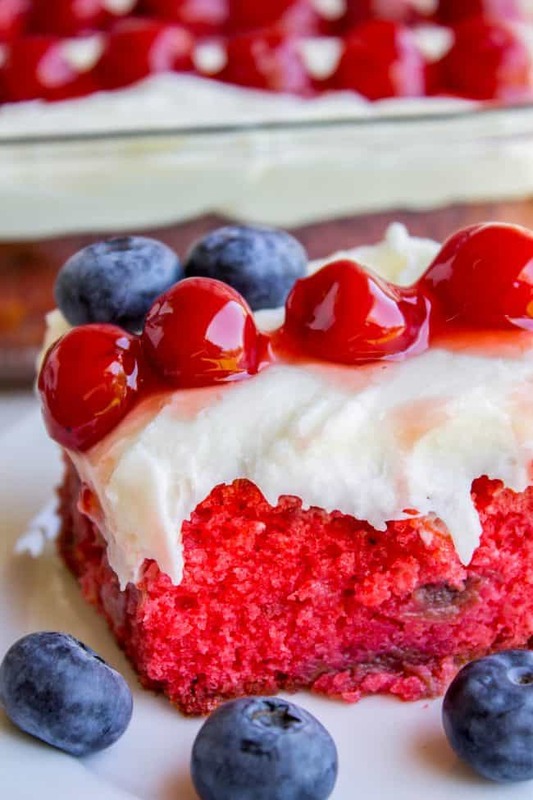 This cherry-studded flag cake is the perfect patriotic dessert to bring for a Memorial day or Fourth of July barbecue! 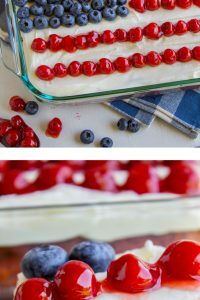 Blueberries and cherries on top are super easy and so festive! Secondly, I started a Food Charlatan Facebook group! (I know, you’re confused, don’t I already have that? No silly, that’s a Facebook PAGE. We are getting into social media capstone courses here.) 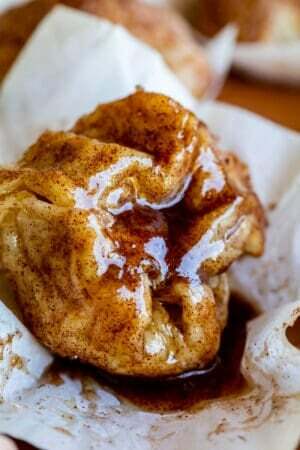 The Facebook group is a place where YOU guys can swap recipes, get dinner ideas, and chat about food to your hearts content. And I will be there to answer recipe questions. It will be lots of fun! Join here so that I can approve you! My next door neighbor Nina is from the Ukraine. She told me last week that Sunday marks the 25th anniversary of the day she and her husband came to America. They are throwing an American party to celebrate, and everyone has to bring an American dish. (She has 5 grown children and many grandchildren.) I love that they are having a party to celebrate coming to the US! I showed her these pictures and told her you can’t get much more American than this; a box of cake mix with a flag on top? ‘Merica. This perfectly pink cherry flag cake is a new take on this Peach Cake with Brown Sugar Frosting, which was a new take on this Blackberry Cake with Cream Cheese Frosting. It is so easy, and so cherry. 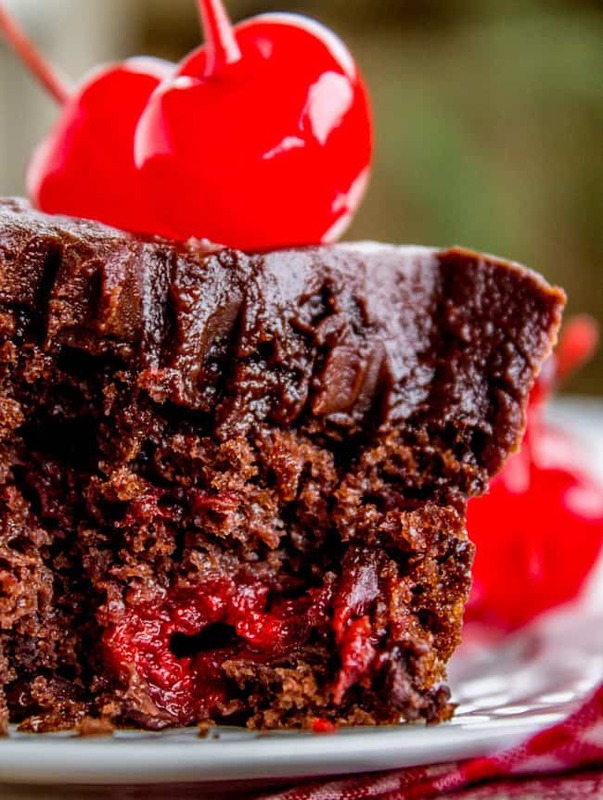 There are tart cherries in the cake, cherry jello (dry!) in the batter, in addition to the cherry pie filling on top of the cake. My other neighbor Becca took one bite and said, “This cake tastes like summer.” She’s totally right! With Memorial Day coming up, I wanted to make a patriotic cake you can bring to any barbecues or get togethers you might be heading to soon. 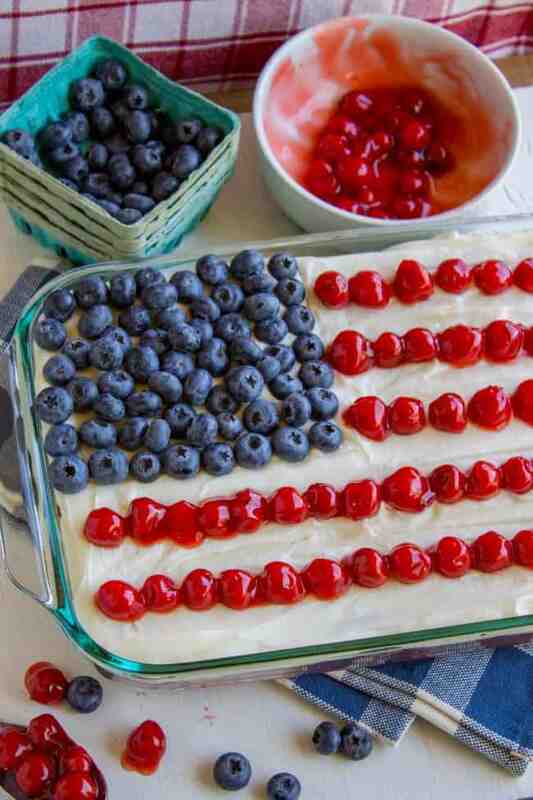 I feel like patriotic desserts are appropriate for the entire summer. Memorial Day is in May, Flag day is in June, and then of course the Fourth of July. And what do you have to offer us, August? Nothing! 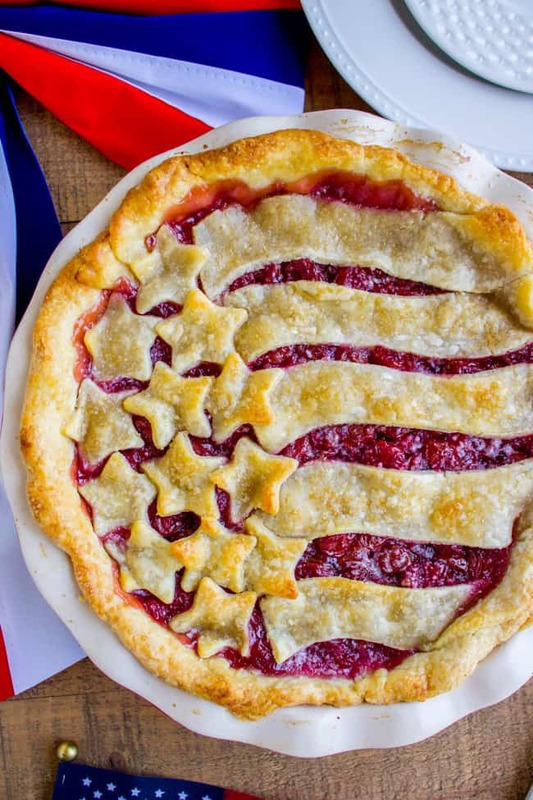 So let’s just extend the patriotic love on until fall, shall we? It’s gonna be a party! This cake is ridiculously pink, and bakes up ridiculously brown. I promise it tastes delicious and not burned, dry, or tough, I promise. This cake is SO moist and soft. Ironically, Eric and I will not be in America to celebrate Memorial Day. We will be in Australia! (Should I have made this into an Australian flag?? :) We are leaving the kids at home with my dear saint of a mother. (Bless you, mom. 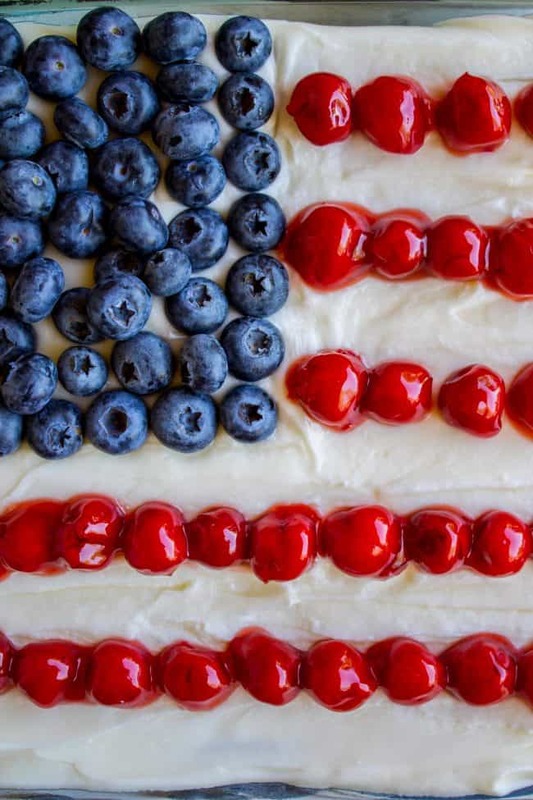 I will bake an entire flag cake just for you.) Have any of you been to Australia? Tell me your favorite spots in Brisbane, Airlie Beach, and Sydney! We are so excited. The new design is going live on Friday! I can’t wait to show you guys. I think you’re going to love it. I know I do!! Preheat the oven to 350 degrees F. Grease a 9x13 inch cake pan. Set aside. In large bowl or stand mixer, beat together cake mix, eggs, oil and dry Jello mix on high speed for about 2 minutes, scraping the sides and bottom. Fold in the cherries with a spatula. Pour into the prepared 9x13-inch pan. 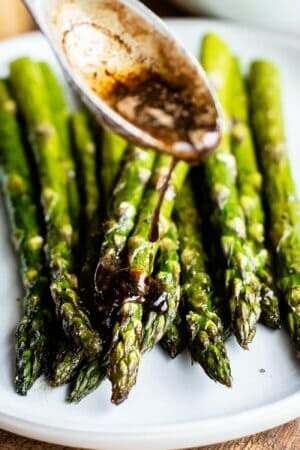 Use a very sturdy spatula to scrape it all in. You might think you are working with an enormous wad of chewed bubblegum at this point, but don't worry, it turns into a delicious cake, I promise. Bake at 350 until fork inserted in center comes out clean, about 40 minutes. The cake will be rather brown on top. Browner than a normal cake. Cover it with foil if you're worried about it. Test the cake with a toothpick to see if it is baked completely. Dry toothpick=finished cake. Allow cake to cool completely. I stuck mine in the freezer. In a large bowl, make frosting by beating cream cheese and butter together until smooth. Gradually add powdered sugar. Add milk and salt. Add in the coconut extract if you are using it. Pour the cherry pie filling into a bowl. Carefully use a spoon to add one cherry at a time for the stripes. I actually used the colander to drain out some of the pie filling liquid. I recommend serving this cake on the day you make it, but it could easily be made a few hours ahead of time and refrigerated. More desserts perfect for summer! 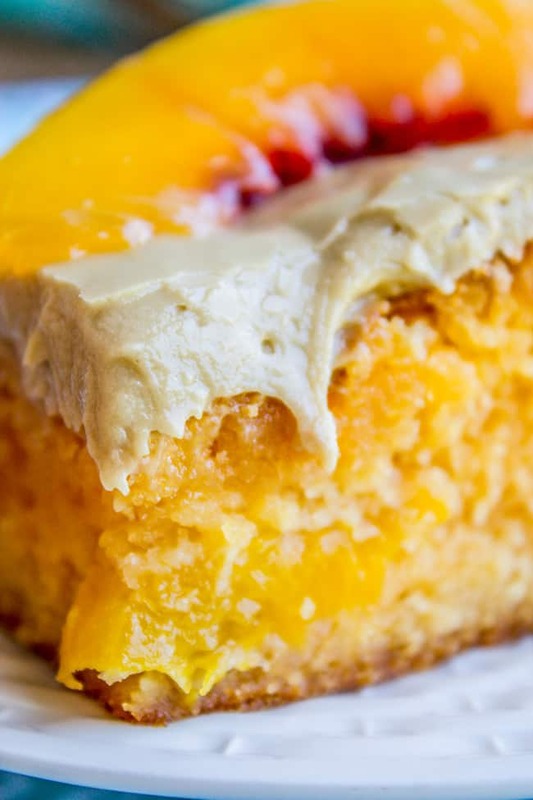 Peach Cake with Brown Sugar Frosting << this is basically the same cake as today’s recipe, just with peaches! Check out the original Blackberry Cake with Coconut Cream Cheese Frosting! 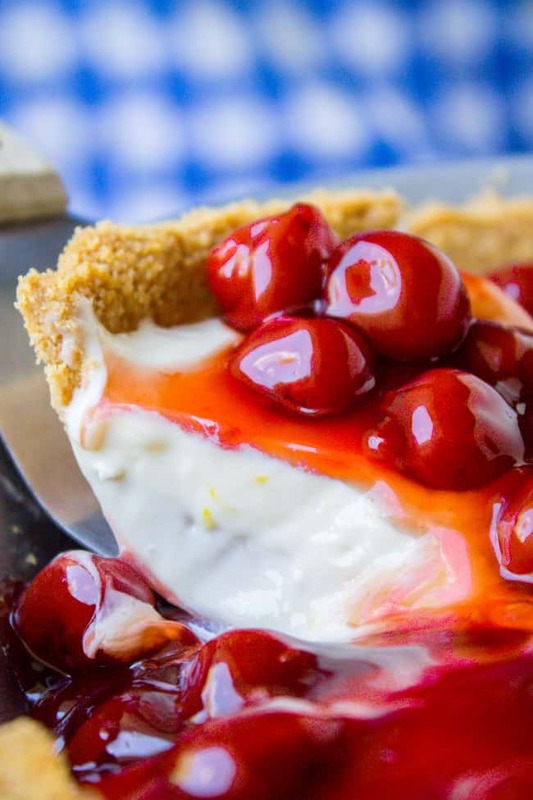 No Bake Cherry Cream Cheese Pie << have you tried this one before?? 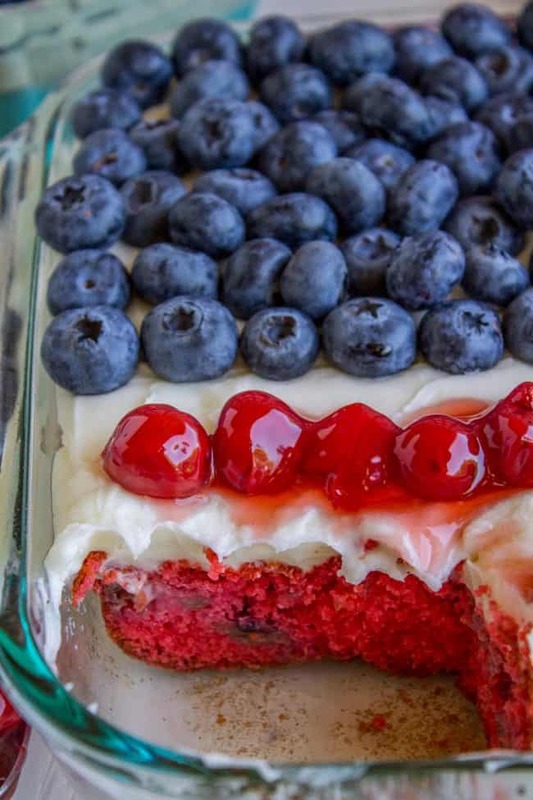 More patriotic desserts to make all summer! Next Post » 30 Minute Pesto Penne with Chicken and Cherry Tomatoes + My New Design! Thank you!! I hope you get to make it soon! 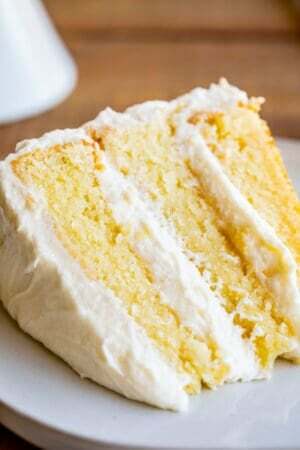 This cake looks amazingly delicious and amazingly simple. Can’t wait to try it! Thanks Karen! AND . . . . .your blog changes look amazingly delicious also! This cake looks awesome! And so tasty! 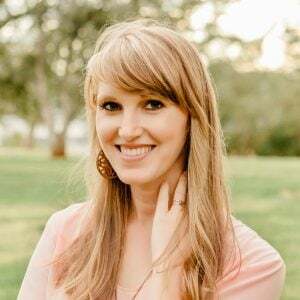 Just popping in to say I love the new blog design!! 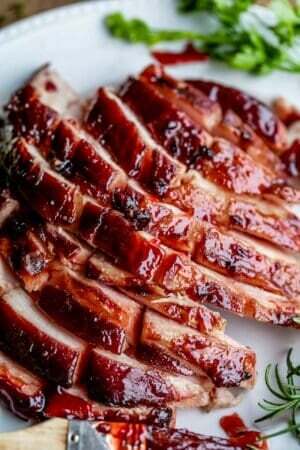 This look delicious! Those juicy cherries on top are the best!